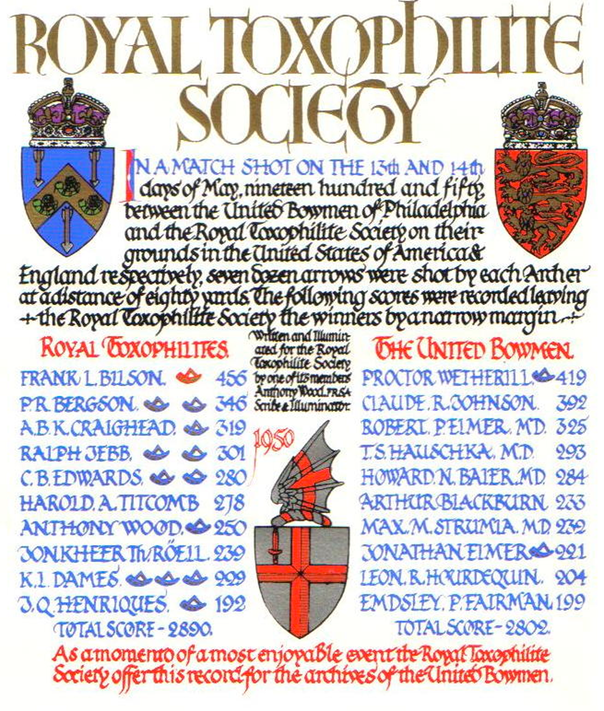 ▪�� Prior tournaments by mail with the Surrey �Bowmen and the Royal Toxophilite Society �beginning in 1938. "We do not wish to imitate the cutoms of foreigners so much as to share in a heritage of pleasure �to which we have an equal claim." 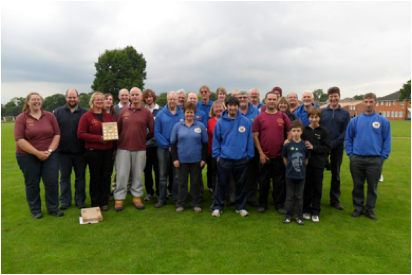 � � Oldest Target Archery Round of its Type in the English-speaking World. 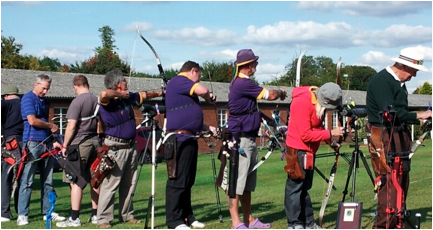 The United Bowmen’s club and shooting style were clearly patterned after British custom of the day. 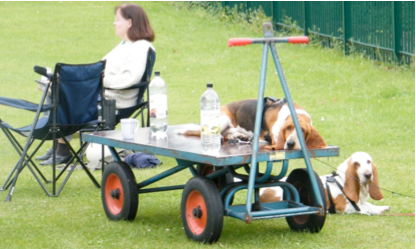 �There was a tremendous similarity between the setup of a tournament in Britain in 1828, and the setup of a United Bowmen tournament in 1828. �If the York or St. George’s Rounds were a part of mainstream British archery in 1835 when the United Bowmen Round was first shot, you would think that the Bowmen would have learned of them (communication across the Atlantic was surprisingly good) , and that the Bowmen would have adopted one or the other of them. 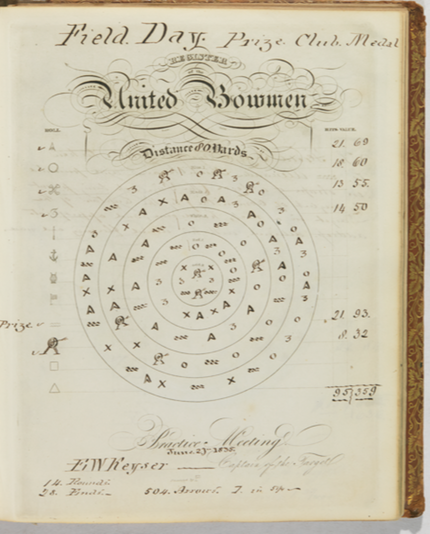 � �Under these circumstances, the United Bowmen Round might never have been developed had there been a British standardized round that met the Bowmen’s needs in 1835. �Running the risk that absence of evidence is not necessarily evidence of absence, �the Bowmen may have invented their own standardized round because there were no rounds of this type in Britain at the time. All members of the Bowmen have an emblem or "Mark." All of the Marks actively held by members on June 23, 1835 are listed in a column to the left of the target face on the record, under the heading "Roll." The members that �shot on the date in question in 1835 have checks (✓'s)�next to their Marks. 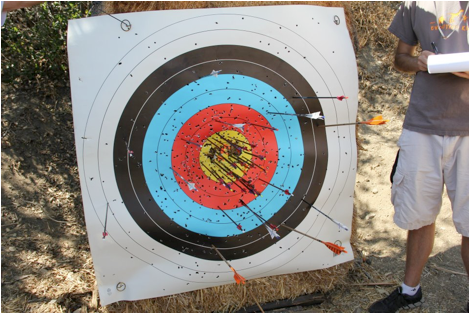 �The hits and score for each archer �that shot that day are given in a column to the right of the target. Members Marks are put on the target face in the locations of the hits scored by each man. 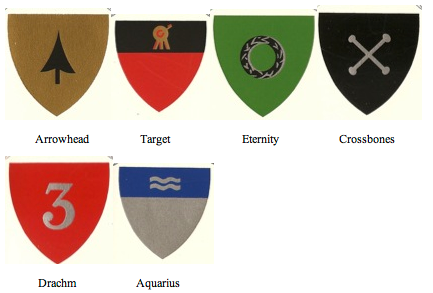 �All of the Marks and their histories as of 1953 (the United Bowmen'a 125th anniversary) aare in a document attched herewith. Krumbhaar won 1st prize with 21 hits and 93 score. 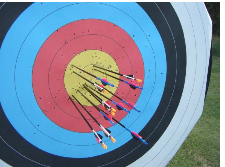 The illustration confirms that scoring was 9,7,5,3,1 and that the colors on the target face were, from the center to the edge, gold, red, white, black and blue. �The specified distance was 80 yards. The number of arrows shot by each archer was 84. 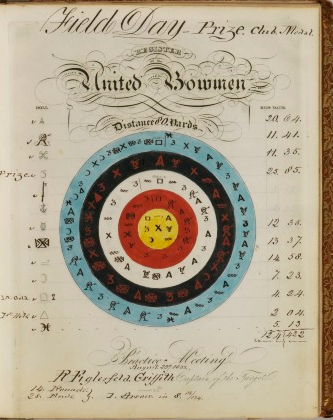 This is confirmed by the reference at the bottom of the page to 504 arrows (84 arrows x 6 archers= 504 arrows).The reference at the lower left hand corner to "14 rounds, 28 ends"� means that 6 arrows were a "round"�and 3 arrows were an "end. 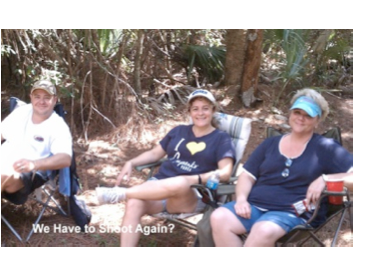 "� There was 2 way shooting with 3 arrows being shot in each direction. 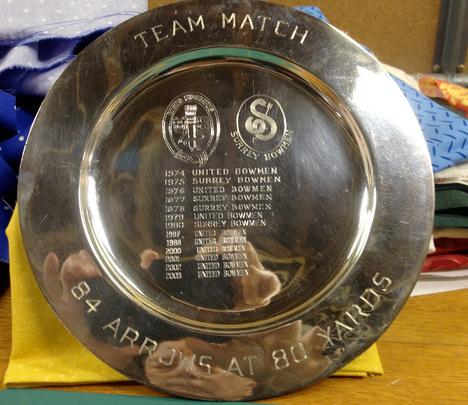 � � � � ��The United Bowmen Round is the only round that the Club has shot since 1835. 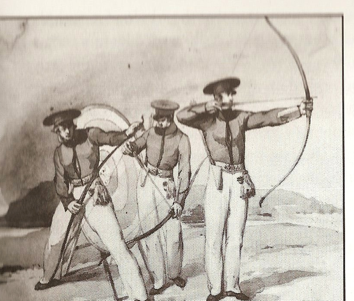 Adopted by the British Grand National Archery Society some time after 1844. 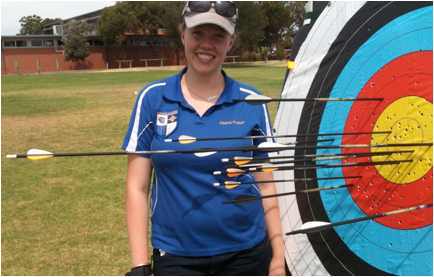 All adult archers (male and female) will shoot the United Bowmen Round at 80 yards. 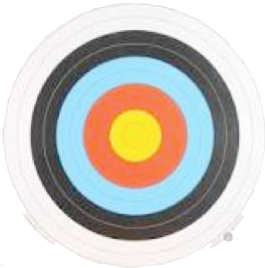 �Juniors aged 10-12 will shoot at 25 yards.� Juniors aged 13-17 will shoot at 50 yards; 18 and older at 80 yards.�Juniors will shoot 84 arrows at the specified distances using� the 122 cm target face;� with the 5 rings scored 9-7-5-3-1. All age, gender and equipment divisions are welcome. 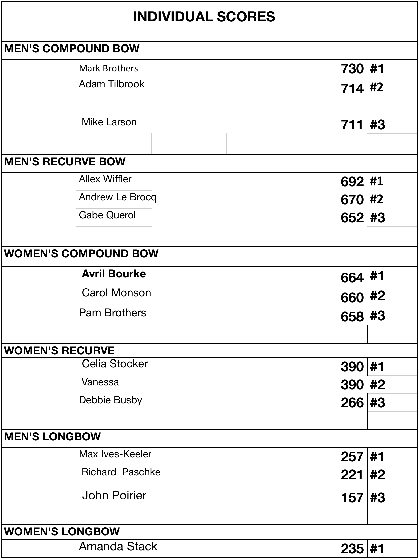 The top 4 scores for the various divisions from each participating organization� will constitute a team.� Longbow teams must be made up of 4 longbows.� A recurve team can have one or more longbow archers on it. 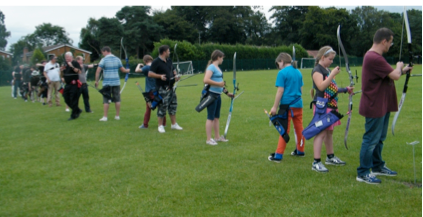 �A recurve team may have one or more longbow archers on it. 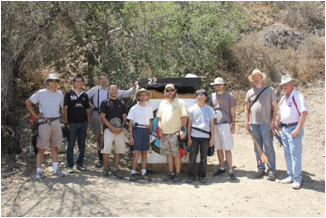 �A compound team may include one or more recurve or longbow archers. 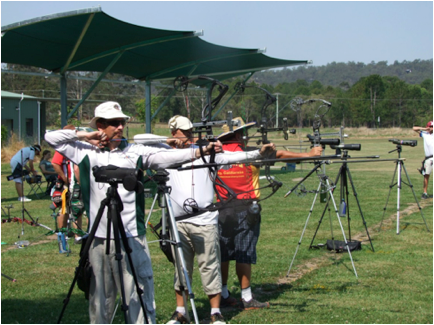 �Junior Boys and Girls can shoot on the men’s and women's teams. 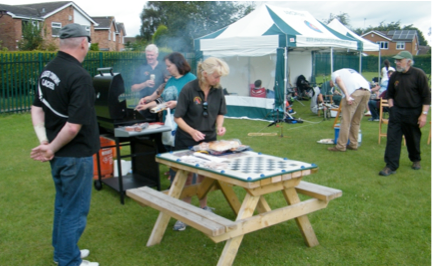 A given woman's score can be counted on both the men's and women's teams from their club. � Subdivisions within the longbow, recurve, and compound bow divisions will not be recognized except for barebow. 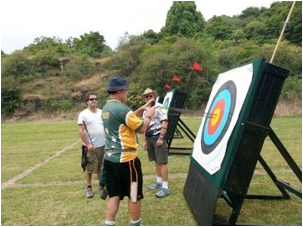 When all archers have finished the end, the Captain of the Targets blows a whistle and all of the archers go down range to the targets to score their hits and retrieve their arrows. 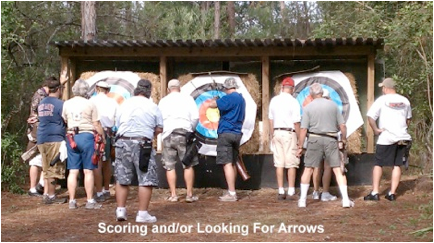 The Target Captain on� each target pulls the arrows and announces the value of each hit for each archer on the target.� The Recorder keeps the scores in writing. The maximum number of archers on a target shall be four. 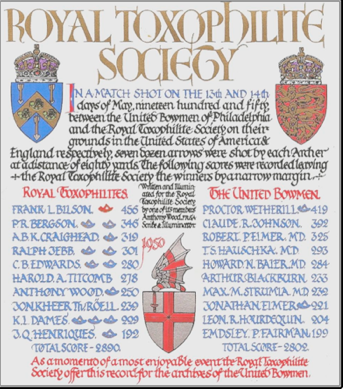 The United Bowmen have been shooting the� United Bowmen Round in quasi-annual one-on-one matches by mail with the� Surrey Bowmen and the Royal Toxophilite Society in England since 1938. 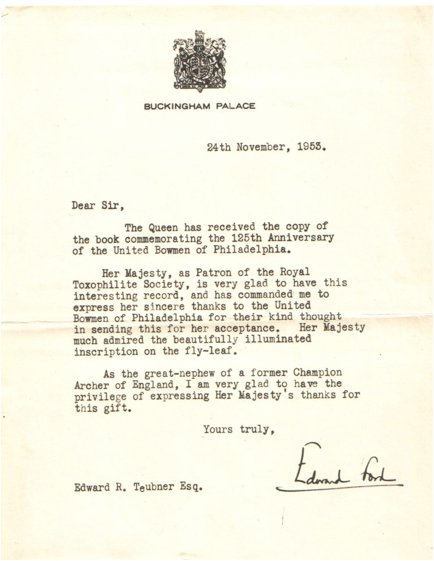 “The club holds much correspondence… such as the challenge to an archery competition issued to the 'United Bowmen of Philadelphia' in 1938. The proposal was written in old English on vellum. 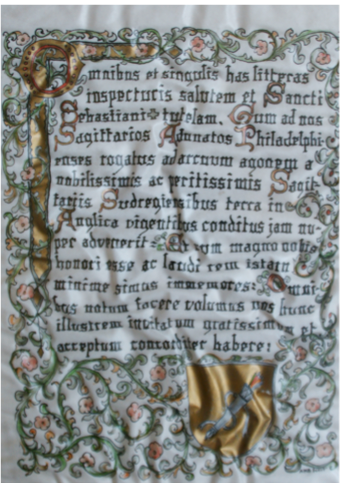 Not to be outdone, the reply accepting the challenge was returned� as an elaborately� embroidered scroll. 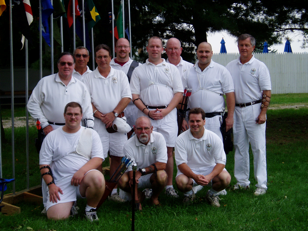 The club still regularly shoots a postal match against the 'United Bowmen of Philadelphia." 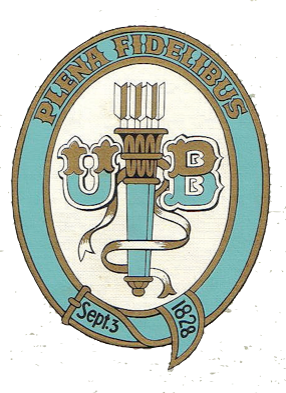 The Bowmen’s annual Club Championship Tournament� - the “Annual Prize Meeting,”- was a major event in 19th Century Philadelphia.� According to the� Saturday Evening Post,� the Annual Prize Meeting of 1839 attracted over 2000� spectators.� Their carriages reportedly jammed the streets for nearly a mile There was a uniformed band that played when the archers� walked to and from the targets to score and retrieve their arrows.� One of the pieces played was the “Archers March” by� W.H.W Darley; a member of the Club (Lyre). There was a well-dressed boy standing to the side of each target with an array of colored silk flags that were used to signal archers where their arrows had hit the target.� A� long open� tent pavilion was erected over the shooting line so that the Bowmen could shoot under cover.� The structure was supported by 25 poles - one for each member of the Club.� The pennants of each Bowman displaying their Marks were fitted to the top of each pole. 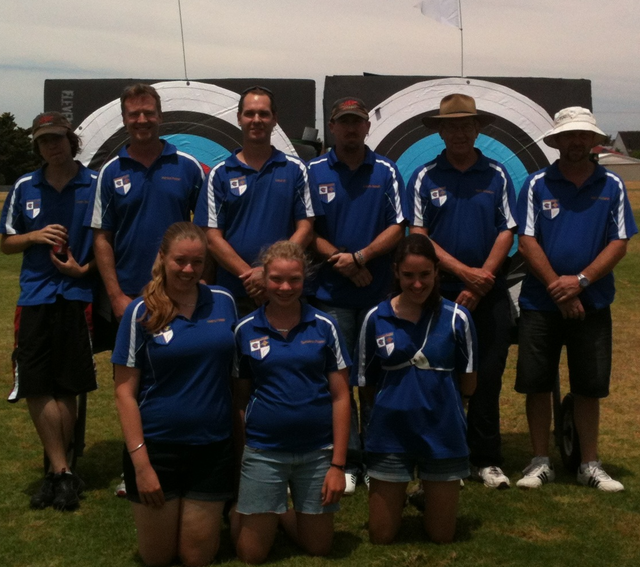 The archers shot from positions adjacent to their flag. 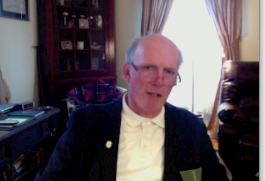 �Heres's how the American Turf Registry and Sporting �News described the scene at the annual �anniversary shoot of 1835. 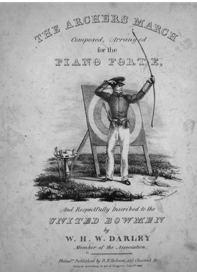 It should be required reading for everyone before they shoot �their first United Bowmen Round. "The United Bowmen celebrate their anniversary with an archery contest, Philadelphia, PA, 1835"
From the east side of the extensive lawn in front of the house, was nearly two hundred carriages were ranged along the lane, and in the extensive avenue to by extended lines, an area about fifty yards wide by one hundred and twenty long, for the exercises of the Bowmen. Midway on the east side of the area, was erected a very handsome marquee, in which. was Johnson's admirable band of music. Opposite that tent, on the west side of the area, was a table most tastefully decorated, upon which were placed the premiums; and without the line, on the north and west side; were seats for the ladies, who watched with earnestness the movements of the archers. Among the company were representations of all the liberal professions, and all classes of citizens who had leisure and taste for such enjoyment. Some of the young ladies and gentlemen kindly gave up their places of advantage to their seniors, and we wished them pleasant strolls as they paired off along the delightful walks of the place. How thoughtful thus to give place to the old. FIRST PREMIUM, the Company's bow, to FRANKLIN PEALE-thirty-seven shots, counting one hundred and forty-four. SECOND PREMIUM to S.P. GRIFFITTS, JR.-thirty-three shots, counting one hundred and twenty-nine. THIRD PREMIUM to W.H.W. DARLEY. This premium is given for the arrow placed nearest to the centre of the target, without any reference to the number previously gained. It was obtained by Mr. D. at the last shot in the afternoon. The company was delighted with the place and the means of enjoyment; and when some observed, that in a single round there had been several misses, we heard a young lady archly observe, that there Were more "misses" than hits. She did less than justice to the fair part of the company. We are too old to talk about such things, but we have good reason to believe that the united company were not the only bowmen of the afternoon. 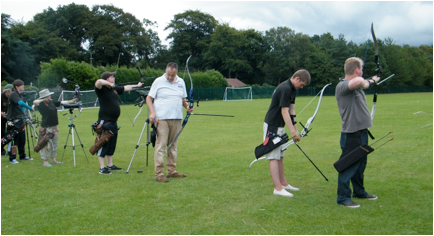 We are sure that we express the feelings of the very numerous and highly respectable guests, when we refer with grateful pleasure to the liberal courtesy of the United Bowmen, and to their arrangements for the entire accommodation of those who witnessed their elegant and healthful exercise." � � � � � � Chop fine and stir �cherries, apricots and a pineapple. 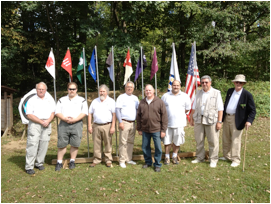 United Bowmen at the Corinthian Yacht Club Essington, Pennsylvania. 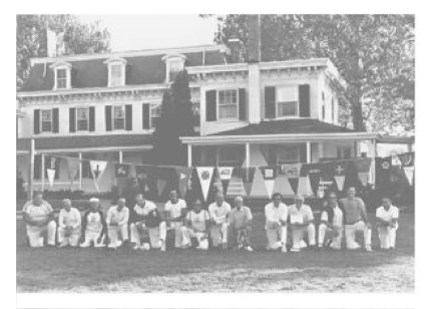 Note the Pennants � �hanging vertically down from a horizontally-strung rope.� The pennants contain the emblem or “Mark” of each member.� The holder of the Mark illustrated on� each pennant is kneeling below their pennant� in the photograph. 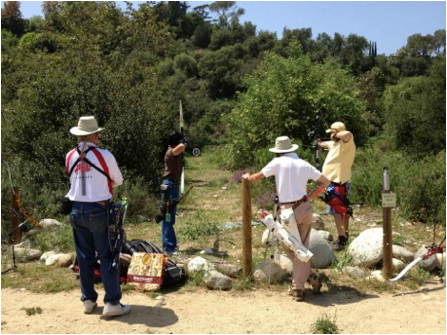 The Pasadena Roving Archers – Southern California shoot the Bowmen Round on the two 80-yard shots on their 28-target Field Course.� An addendum to the rules is being considered that would allow clubs with limited� facilities for shooting at 80-yards to shoot their round for score in installments on multiple dates. 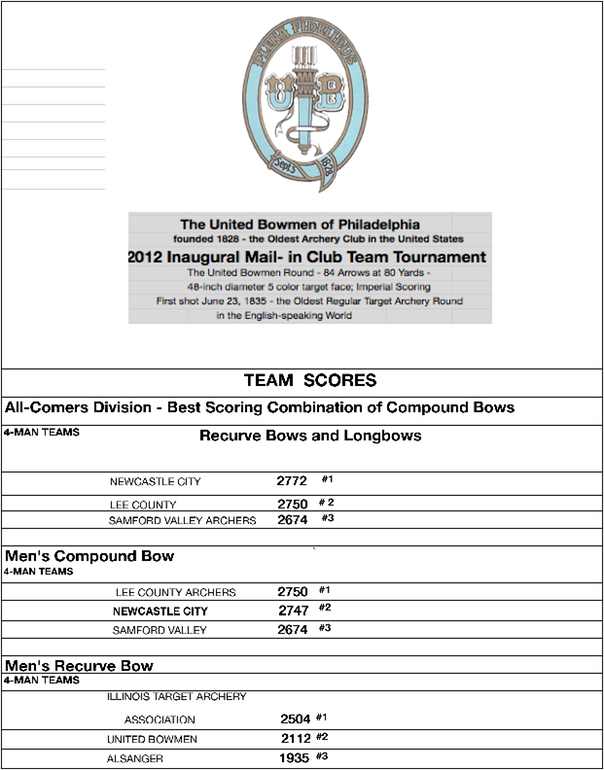 The United Bowmen’s new home is the Reading Archery Club near Reading, Pennsylvania 50 miles West of Philadelphia in Berks County.�� The Club is primarily a Field Archery and 3-D Club, but they tolerate our practice of target archery on their grounds. The club was founded in 1953. 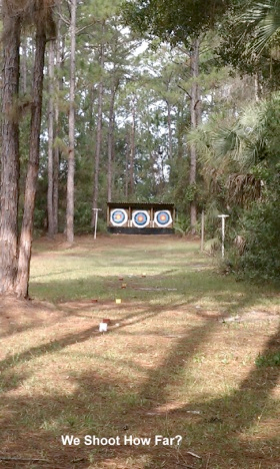 The outdoor range can just accommodate 80 yards. The setup requires us to shoot downhill across what� is normally the parking lot to the targets. 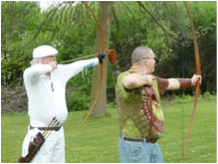 � � � � � � � � � � � Recurve archers at the Illinois Target Archery Association Bowmen Round Shoot. 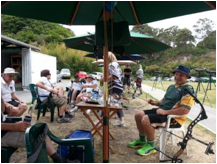 ��There were only 4 recurve archers present - just enough for a team. They posted a score of 2504. � � � � � � � � � � � � Alex Wiffler wearing a brown shirt in the photograph above) shot 692.� This ties� the recurve record for the round that was jointly held by Steve Lieberman, �Ted Light and Jerry Robbins of the United Bowmen.